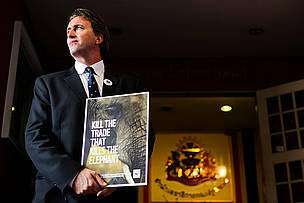 WWF today handed over a global petition calling for a ban on the trading of ivory in Thailand to Prime Minister Yingluck Shinawatra, a move that aims to spur legal reforms in the country that will help prevent the slaughter of up to 30,000 wild African elephants a year. 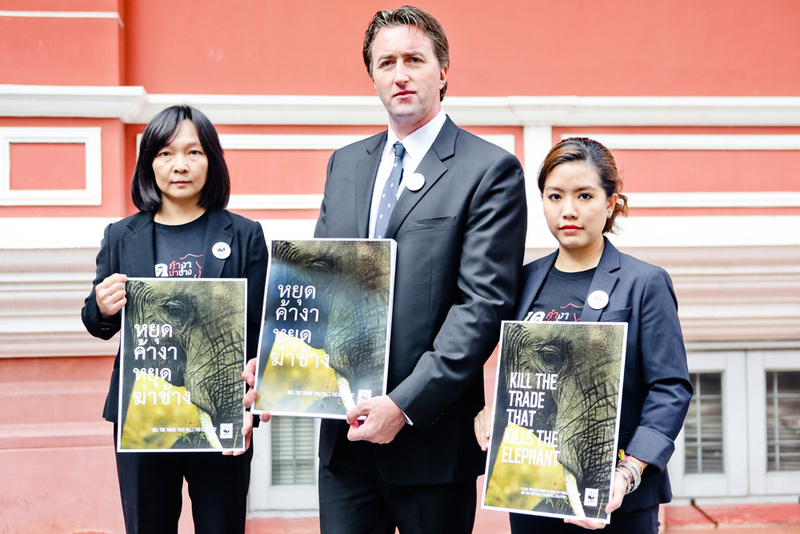 Bangkok, Thailand – WWF today handed over a global petition calling for a ban on the trading of ivory in Thailand to Prime Minister Yingluck Shinawatra, a move that aims to spur legal reforms in the country that will help prevent the slaughter of up to 30,000 wild African elephants a year. The Thai government on Wednesday also said that Prime Minister Shinawatra will preside over the opening day of the Convention on International Trade in Endangered Species of Wild Fauna and Flora (CITES) taking place in Bangkok this week. As the host of this critical wildlife trade negotiation, WWF calls on Prime Minister Shinawatra to take bold action to shut down Thailand’s ivory markets. 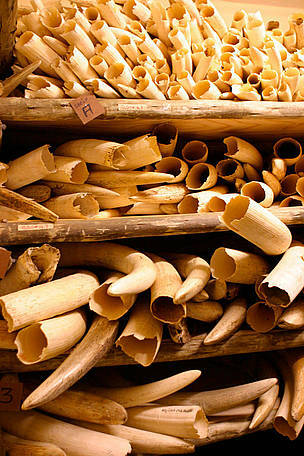 Thailand is the world’s largest unregulated ivory market. The petition - which had over 500,000 signatures from over 200 countries and territories on 27 February - is part of a WWF and TRAFFIC campaign calling for an announcement by the Thai Prime Minister to ban all ivory sales in Thailand. “If host-nation Thailand fails to take bold action - and that means nothing less than a ban on all ivory trade - then Thailand's wild elephants could be next,” said Janpai Ongsiriwittaya, Illegal Wildlife Trade campaign leader in WWF-Thailand. “Perhaps as few as only 2,500 wild elephants are left in Thailand. That's as many elephants as were wiped out each month in Africa in 2012 to fuel demand for ivory trinkets,” added Ongsiriwittaya. The sale of ivory from wild elephants is currently illegal for CITES-host Thailand, but the sale of ivory from Thai domestic elephants is legal. Determining whether ivory products are derived from wild elephants or domestic animals is extremely difficult, and enforcement agencies are currently unable to detect illegal ivory entering the Thai trade. Crucially, the nation’s status as an international transportation and shipping hub ensures that a steady stream of black market purchasers enter the country to buy ivory products. It also facilitates smuggling of raw ivory into Thailand, since illegal shipments are easily hidden in the many thousands of containers entering Thai ports everyday. 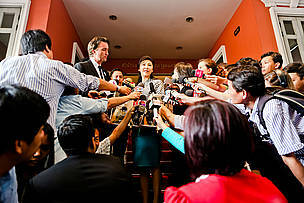 “While the Thai government has tried several times to reform the law in recent years, nothing has changed. The reality is that the existing legal framework does not prevent Thailand from being the laundering hub for illegal ivory,” said Ongsiriwittaya. Hollywood actor and activist Leonardo DiCaprio has also appealed to Thai Prime Minister Yingluck Shinawatra to ban ivory trade ahead of CITES. "Illegal wildlife trade is the most urgent threat facing species like tigers, rhinos and elephants. These animals are being killed every day to feed an escalating demand for their body parts," DiCaprio said. WWF and TRAFFIC recently called on governments CITES to consider formal trade restrictions against some of the worst offenders in the illegal ivory trade, including Thailand, Nigeria and the Democratic Republic of the Congo. 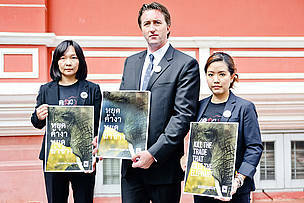 WWF representatives hand over the half-million signature petition calling for a complete ban on the Thai ivory trade to Prime Minister Yingluck Shinawatra (center) in Bangkok. 27 February 2013. 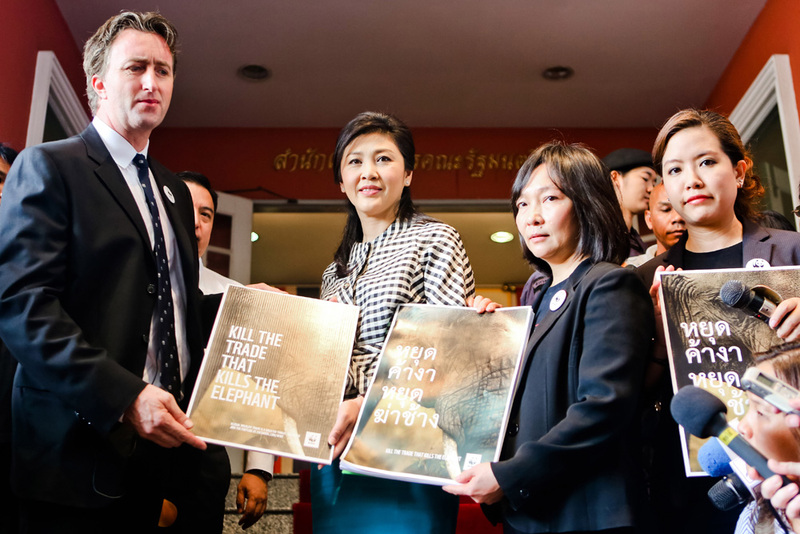 WWF representatives hand over the half-million signature petition calling for a complete ban on the Thai ivory trade to Prime Minister Yingluck Shinawatra in Bangkok. 27 February 2013.